Yoga is a discipline that is mostly made up of postures, meditation and breathing control but it is above all a healthy lifestyle based on ancient principles. Like all women, I enjoy taking care of myself both on the inside and the out. I like to feel good, think positively and yoga helps me keep that balance. Saturday's yoga class at #RUNSUPYOGA will be dynamic, fun and soothed by the sound of the DJ. Yoga’s benefits are proven to help you as a runner. Yoga practice helps optimize stretching, maintain good muscle tone and good joint flexibility for better mobility. These two sports have a lot in common. Surfing a wave is a spiritual moment. It is a sport that requires concentration, force and flexibility. Yoga improves balance, builds strength and suppleness, all qualities that are ideal for getting up quickly on a board! That's why our ROXY athletes, like Justine or Rosy, love yoga! 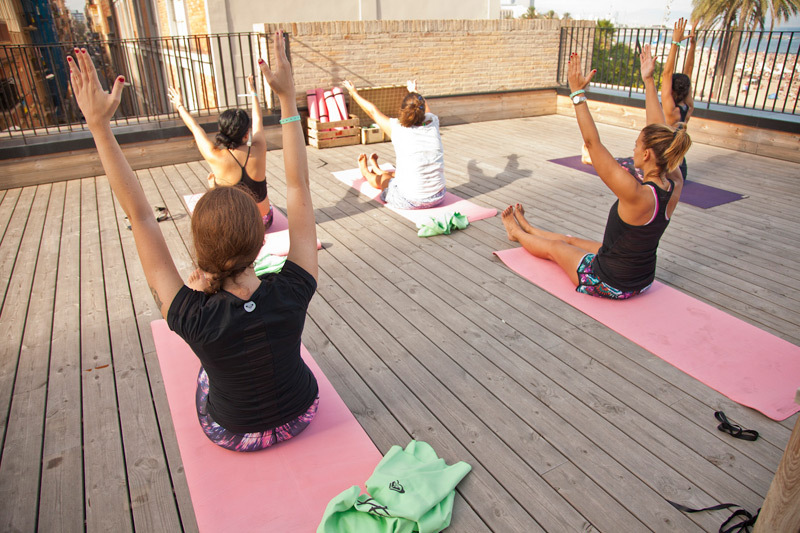 I can’t wait to give the yoga class #RUNSUPYOGA in Barcelona! The #RUNSUPYOGA is the perfect combo between yoga and land sports and water. I’m looking forward to seeing you on Saturday, 23 May at 8am for a Vinyasa flow yoga class on the Barceloneta beach! Then you will be perfectly warmed up for your run! Check out Xuan-Lan on Facebook or Instagram. For all the latest information about the #RUNSUPYOGA event, follow ROXY on Facebook, Twitter or Instagram!